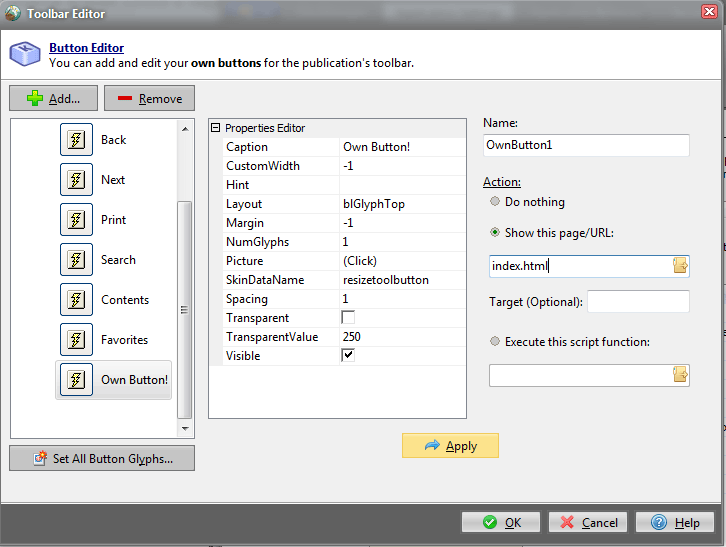 Insert your own buttons in the toolbar! You can associate HTML pages, PDF files and script commands to these buttons which are also rendered using our skin engine. Create navigation toolbars easily! Menu bars and tool bars support semi-transparency, visual effects rendered on any Windows version... They can also be hidden if you wish. Toolbar buttons handle alpha-blended icons loaded from 32-bit PNG files.